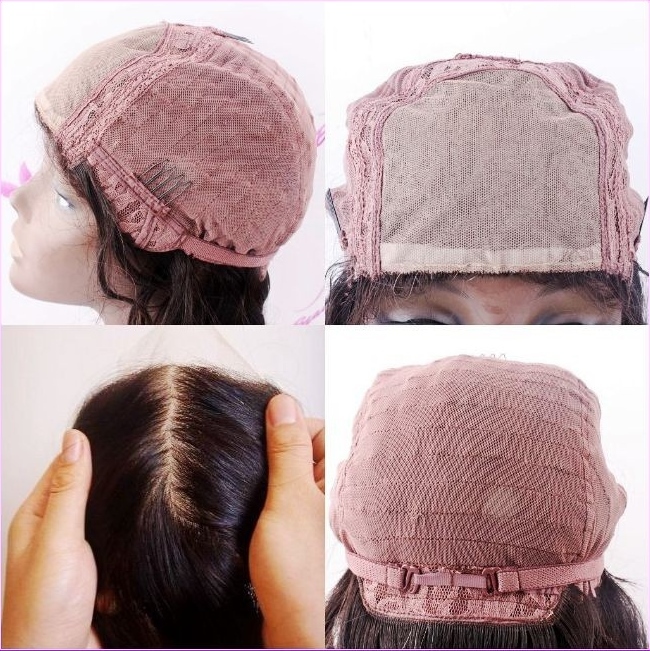 "What things should I look for to find affordable lace front wigs?" Finding the most affordable lace front wigs can be tricky, but here are a few tips about the sorts of features to look for to get the lowest price. More expensive lace front wig with hidden knots (silk top) and no adhesive required "glueless"
Lace front wigs with a basic cap construction (hand-tied at the front and machine wefts throughout the back) will usually cost less than a lace front wig with additional features like silk top (hidden knots) or stretch caps. If you don’t feel completely bound to the lace being ear to ear at the front, then a v-lace front wig should be even more affordable. V-lace front wigs have a small v-shaped section of lace at the front and usually come with a predefined parting (side or middle) and it’s only around this parting that lace is used; the rest of the wig is made from machine tied wefts. Natural straight, silky straight, relaxed straight and yaki straight are the standard basic textures for lace front wigs. Natural straight textures are usually the most affordable because the hair has not been subject to a chemical straightening process… “Hang on, does that mean the other textures have been subject to chemical process to produce texture?” Good question and the answer is yes. Ah... To remy or not to remy, that is the question. 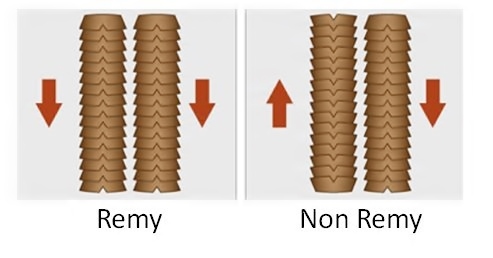 There’s an article about remy and non-remy hair which outlines the features and benefits of both types of hair but in brief terms; remy hair is where all the strands of hair still have cuticles and all the cuticles point in the same direction (downwards). None of the hair strands have cuticles at all. Technically speaking there are more categories of non-remy hair; a third kind of non-remy hair is where the hairpiece (wig or hair extensions) contains a mixture of both remy and non-remy hair, but the clearest way to express the attributes of the hair that is bought, is to have a one or the other approach; it’s either 100% or it’s non-remy. FYAstonishment, most human hair on the market isn’t 100% remy – it’s typically a mixture of both remy and non-remy (but that’s a whole other article). Anyhoo, 100% remy hair is more expensive than non-remy hair; it’s more expensive for the wig makers to buy and that cost is passed on to the retailer and then onto the consumer. If you don’t mind non-remy hair, then this can make a lace front wig more affordable. FYIncredulity not all non-remy hair ends up being severely tangled – there are brands of non-remy hair suppliers which clearly set out that the hair doesn’t have cuticles which is why it won’t be prone to excessive tangling; dyed colours are likely to fade more quickly and silicone based styling products will be necessary to maintain lustre and sheen. Okeydokey, that's your amble through some of the features to look out for in order to find lace front wigs which are more affordable. If you’d like more information there's an article about how bleached knots and hair lengths affect affordability; for any other questions, peruse the Lace Wig Q&A section or if you'd like to be first to read new guides and articles, why not join our blog - it's super easy to do and doesn't require any personal info!